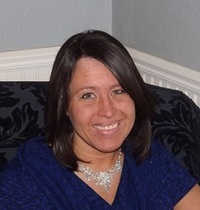 Melissa (Collins) Grzanka was born and raised in Michigan, where she still currently resides with her husband. Writing has always been one of her passions, having dabbled in the art as far back as she can remember. Her work tends to incorporate her other passions, the most notable being her love of the martial arts. Melissa has been training for more than two decades, having achieved her fourth-degree black belt in the Korean style of Tang Soo Do, as well as her brown sash in Praying Mantis Kung Fu. As a dedicated martial artist and three-time world champion through the World Karate and Kickboxing Union (formerly part of the WKA), Melissa believes it is important to present strong, relatable heroines within her story. Aside from writing and Melissa (Collins) Grzanka was born and raised in Michigan, where she still currently resides with her husband. Writing has always been one of her passions, having dabbled in the art as far back as she can remember. Her work tends to incorporate her other passions, the most notable being her love of the martial arts. Melissa has been training for more than two decades, having achieved her fourth-degree black belt in the Korean style of Tang Soo Do, as well as her brown sash in Praying Mantis Kung Fu. As a dedicated martial artist and three-time world champion through the World Karate and Kickboxing Union (formerly part of the WKA), Melissa believes it is important to present strong, relatable heroines within her story. Aside from writing and training, Melissa developed a love for travel during her time competing with the USA World Team. Since retiring from competition, she now enjoys embarking on adventures with her husband to see the world and expand her imagination. In 2008 and again in 2016, Melissa underwent open-heart surgery to repair her mitral valve. As with most things, Melissa admits that she drew from her experience and has incorporated it into characters and events within her novels. She expresses how doing so allows her to feel closer to the characters, as well as the story, by putting a little piece of her into each of her works. In December of 2017, Melissa suffered a bacterial blood infection that affected her mitral valve in the form of infective endocarditis, resulting in a need for emergency open-heart surgery. The surgery was successful, and Melissa has once again been able to return to her writing as of February 2018. Melissa is active on social media and can be found on facebook at www.facebook.com/myatheiramelissa or you can follow her on Twitter at www.twitter.com/Melissa_Grzanka. She always welcomes questions and conversation from readers. To ask Melissa Grzanka questions, please sign up. Melissa Grzanka I'm currently working on the fifth and final novel in The Myatheira Chronicles series, titled: The Golden Kingdom. We’d love your help. Let us know what’s wrong with this preview of The Vor'shai by Melissa Grzanka.
" Addison wrote: "Hi Melissa and welcome! I'm also an author of my debut YA/NA fantasy romance GUARDED WISH (check it out here on GoodReads), and just re Addison wrote: "Hi Melissa and welcome! I'm also an author of my debut YA/NA fantasy romance GUARDED WISH (check it out here on GoodReads), and just released the sequel GUARDED HEART. Like you I love building new worlds with strong female protags (no wimps in my books!). Look forward to having fun chats with you in the future! I look forward to chatting with you as well! Welcome! ...more "
" Simi wrote: "Nice to meet you, Melissa. I can't wait to read your work soon. I just added them to my Want To Read list :)"
Thank you so much! It's nice Simi wrote: "Nice to meet you, Melissa. I can't wait to read your work soon. I just added them to my Want To Read list :)"
Thank you so much! It's nice to meet you, too! :) ...more "
I currently have four books available from my five book series called The Myatheira Chronicles. The fifth one is due out next year. They were originally published under my maiden name, Melissa Collins, however, they had to be re-released under my married name due to confusion of my works with another author of the same name, and are now available with new cover art and the author name of Melissa Grzanka. ...more "
4. An interesting fact about me: I have been training in the martial arts for over 23 years. I earned my fourth degree black belt in Tang Soo Do when I was 24 years old and am a three time world champion through the WKU (formerly WKA). ...more "
We’d love your help. Let us know what’s wrong with this preview of Silent Queen by Carrie Summers.